Call Of The Wild is what you may call a perfect ‘glamping holiday’. Many wildlife getaways scrimp on the comfort, food, and aesthetics but Call Of The Wild is different. 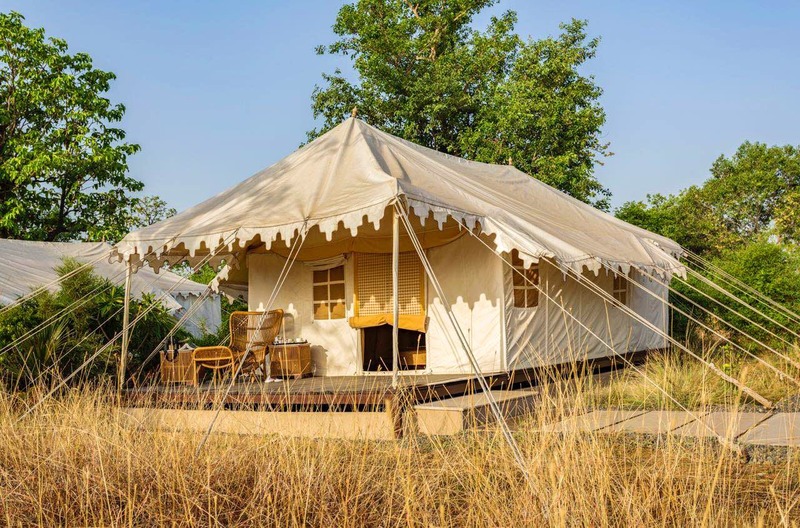 At the edge of Kanha National Park, this is an authentic luxury camp in the reclusive wilderness. The tented accommodations and the on-camp food and service match any boutique hotel in decor and comfort. If you love nature, bird watching, village hikes, treks, and of course the jeep tiger safari, this place offers aplenty with amazing meal options from its organic garden. The place has about 12 ‘glamps’. It was birthed by forest lovers who believe in the cause of saving tigers and most importantly preserving our environment. It has minimised the use of plastic and is heavily into afforestation efforts. After all, true luxury is about being green and not just about wasteful consumption anymore. This special place to stay is full of local hand-me-down stories, adventure anecdotes, exciting incidents all passionately shared, re-shared, and narrated by the lovely host couple. Frankly, the only thing I can think of is that there should be more places like this. This glamping destination should be on everyone’s list.